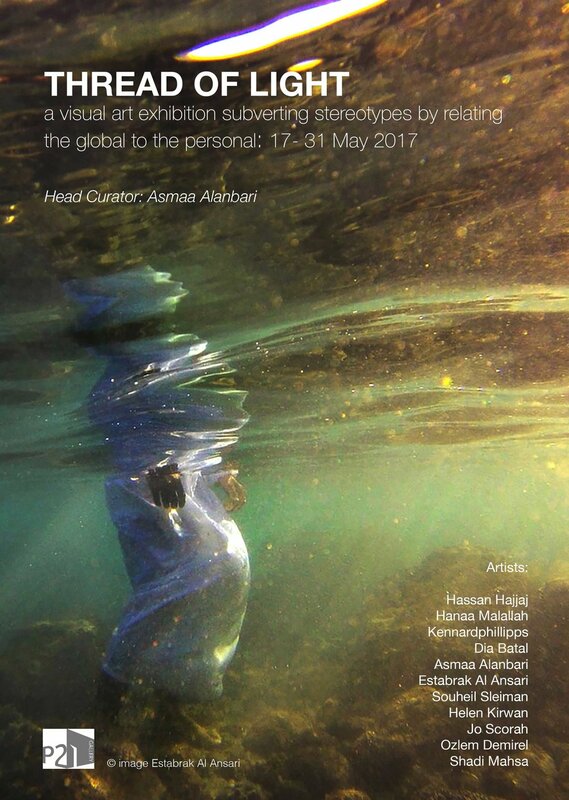 Curation: "the art of integrating art works in the space they live in"
This exhibition was born from the need to tell a story focused on the lives and creativity of the people of the Middle East... by showcasing the talent of emerging and established artists. What I looked for whilst selecting them is a highly individual, subtle voice commenting on what is happening in the region today. As Head Curator and exhibiting artist, I brought together established artists such as Hassan Hajjaj, Hanaa Malallah and Kennardphillips with more emerging artists, in translating this concept over 300m2 at the P21 Gallery London. In providing a window to these creative minds the exhibition succeeded in providing an alternative image and story to how the region is often stereotyped by the media and Hollywood. Special thanks to Joud Tamimi Halawani for her valuable assistance.